An early morning walk in the park, the fog is lifting as the sun rises and there are some very happy dogs running around! 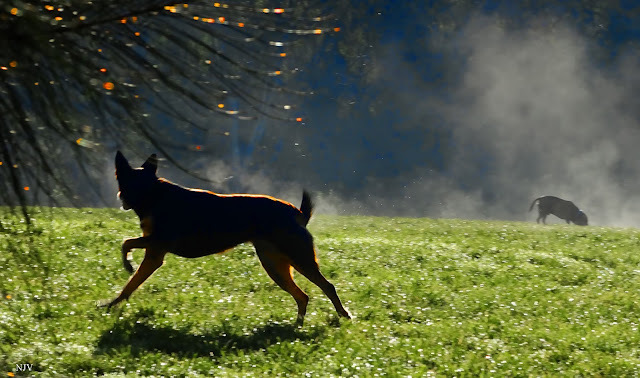 Hello, the dogs do look like they are having fun, running free in the park. Great photo! Thank you for linking and sharing your post. I also appreciate your visit and comment. Happy Saturday, enjoy your weekend! What a neat photo! Enjoy your weekend!